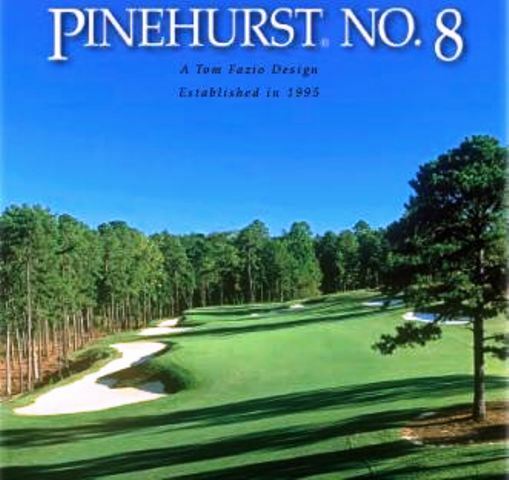 Pinehurst No.7. is located a mile away from the Main Clubhouse. 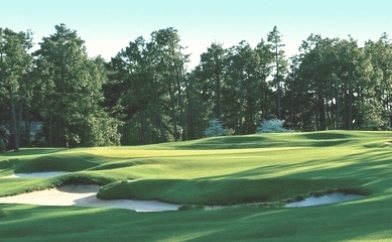 No.7 was newly renovated in 2003 and is one of the boldest and most dramatic golf courses at Pinehurst. 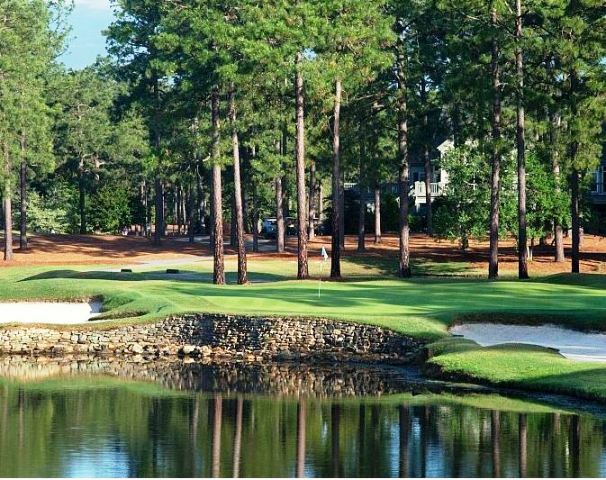 Located on some of the most rugged land around the Village of Pinehurst, the course lends a mountainous feel to a course that literally backs up to the more gentle movement of the world-famous No. 2. The Rees Jones-designed masterpiece uses landforms in equal parts to assist and challenge the golfer - down off many tees into the fairway, backup on a number of holes into the greens. Add the wetlands that dot the landscape particularly on the short, par 4 seventh hole-along with vast expanses of the sand, the "fingers" of bunkers on the 16th and the large, undulating greens, this course is sure to leave you visually stimulated on each and every shot. Course No. 7 will test your game to the very endâ€¦so come prepared.